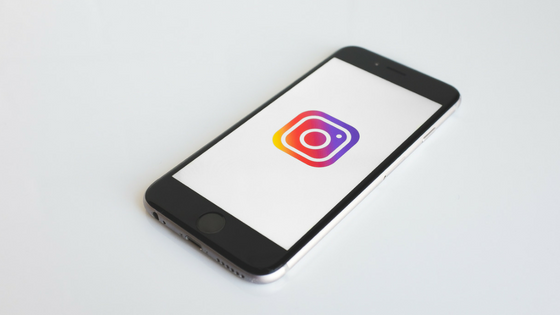 Instagram is gaining LOTS of popularity these days and with good reason! Many accounts are seeing huge successes, gaining customers, and increasing social engagement through this one social app. Since the major algorithm change Facebook experienced earlier this year, we have noticed a huge shift in how people are using social media. Some are abandoning Facebook altogether while others are spreading their wings and dabbling in different Facebook features, yet others are exploring social platforms they’ve never tried before. One of the platforms that is gaining a lot momentum is Instagram. Why? In a word…simplicity. With its simple interface, users are able to upload, edit, and caption an image in seconds, PLUS they get immediate results and exposure, making it wildly popular. Get in on the social momentum! Do you want to get in on some of the Insta-action? We have 3 tips/best practices you can use to “Up Your Instagram Game” in this week’s article. Instagram is the one place where stock photos generally get overlooked. Part of Instagram’s appeal and allure is the fact that you get an “in-the-moment” look into someone’s life. The most viral images are those that truly stop a moment in time, intriguing the user to want to know a little more. Once you have captured the perfect moment, give the user the “more” they are looking for. Give a text written explanation of the picture you are sharing. Think of your Instagram post as a micro-blog. This is your opportunity to draw the user in, offering them just enough information to encourage them to engage with your post through a heart or a comment. Comments are gold and should be your main goal. Why? Comments are the start to some pretty good conversations and engagement. A great way to get your audience engaged and keep them coming back for more is to set the stage for exclusivity. Give them a reason to follow you on Instagram (IG). Create offers, discounts, freebies, downloads that they can only find on IG. Start dabbling in Insta-stories. Video snippets of you, your product, and service. These glimpses into your business life tend to captivate audiences. Don’t go overboard with Insta-stories. 3-5 snippets per day is a good place to start. Any more than that turns into a real-time commitment for the user, causing them to drop off and not follow through to the end of your Insta-story sequence. Play around with stories and soon you will be able to gauge your viewers, how many snippets will work best for your brand. The most important thing to remember when using Instagram is to have fun and be you! The more people can see the real you and authentic content, the more your audience will grow, connect and engage.